This year will be a milestone in the fight against the injustice of extreme poverty. In just 6 months, the world will agree on a new blueprint to eradicate extreme poverty from the face of the earth by 2030, and ensure no-one is left behind. On 17 March, the very first draft of what will form the financing strategy of this new development agenda was released. The final strategy will be agreed at the Financing for Development Conference in Addis Ababa in July 2015. The clock is ticking… Less than four months are left to finalize a financing package that meets the aspiration to end extreme poverty. If Addis is to deliver its promise, all participants – developed and developing countries, business and civil society – must play their part and prioritize the poorest and most vulnerable- the poorest countries and poorest people, especially girls and women. They must make clear and measurable commitments and be held mutually accountable to deliver them. The task at hand is immense. But there is some good news. The draft that was just released forms a good basis for the new financing strategy and includes some of the very core elements of what should be included in a global deal for the poorest. But regrettably it does not include all of them … yet. The draft accord misses a very important element to ensure aid is targeted towards those who have some of the highest and deepest poverty levels: least developed countries (LDCs). In line with calls from the LDCs themselves, ONE is urging developed countries to commit to spending 50% of aid in LDCs, as they increase aid to meet commitments to 0.7% ODA/GNI. Least developed countries, like Liberia and Mali are the most vulnerable countries in the world. A large proportion of their population live with much less than $1.25 a day and their governments have very limited resources, which makes fighting extreme poverty an almost impossible task. In these poorest countries, aid is a life-saver, yet the proportion going to the poorest countries has actually been declining over the past few years. The drafts also fell short of including a reference to mandatory laws for extractive companies to ensure the full public disclosure of natural resource payments. Natural resources represent a source of vast potential wealth for poor countries. But due to a lack of transparency, it is extremely difficult for citizens to know if they are getting a fair deal. In Addis, all countries should follow the lead of the United States, the European Union and Canada and commit to requiring companies to make public the payments they make to governments. The draft includes a clear enthusiasm for accountability but a comprehensive accountability and incentivisation plan that lives up to the encouraging proposals within the zero draft needs building on. Positive language now needs converting with concrete year-on-year timetables for the delivery of all commitments set out in Addis, clear annual reporting and political responsibility for all players. What’s included in the draft strategy? 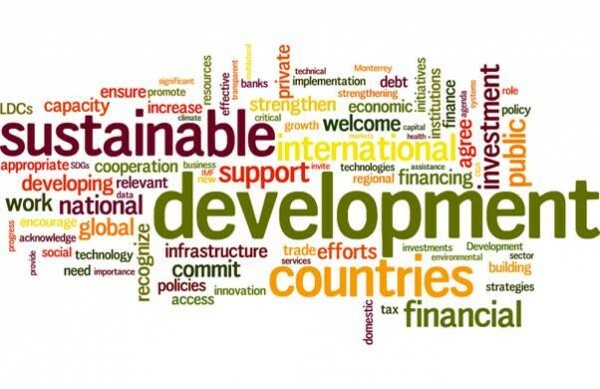 Although the draft fell short of including a new target of half of aid to LDCs, the essential role that development assistance plays “in complementing the efforts of countries to raise public resources domestically” is outlined and the draft calls to urgently meet aid commitments, including spending 0.7% of national income on development assistance. Smart aid will continue to play a critical role beyond 2015 and it is critical that donors meet their longstanding commitments as soon as possible. The draft focuses on the crucial need to deliver for girls and women as a prerequisite “to achieve sustainable development and a vibrant economy”. It also includes important measures to strengthen the ability of countries to raise more revenues. It features critical measures to capture revenues robbed to poor countries through corruption and illicit financial flows, including through public information about who owns companies and trusts to crack down on money launderers. The draft agreement proposes “a new basic social compact” to guarantee access to essential services, such as health and education, for all – and suggests $300 Purchasing power parity (PPP) as minimum spending per person on essential services. In a world where too many people, too many women and too many girls, don’t have their fundamental needs met, such a package would be truly transformative. ONE urges leaders to explore whether a more ambitious threshold would be more appropriate to ensure basic needs for all are met. The draft also features elements to ensure a commitment to publishing timely, standardized, open data and strengthening statistical systems at the country level. These will be crucial to be able to track resources to results and hold leaders accountable for their promises. The new development agenda’s aspirations are ambitious, but within reach, if everyone doubles down on measures to end extreme poverty and improve the lives of the poorest and most vulnerable. All Addis participants must make robust commitments supported by a strong accountability framework. Among them, a commitment to allocate half of development assistance to the poorest countries, alongside a timebound commitment to deliver 0.7%, will be crucial to ensure aid reaches those who need it most.